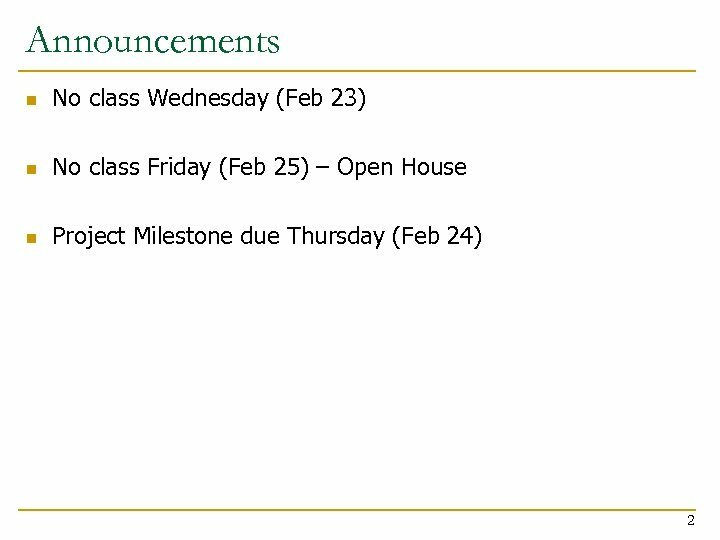 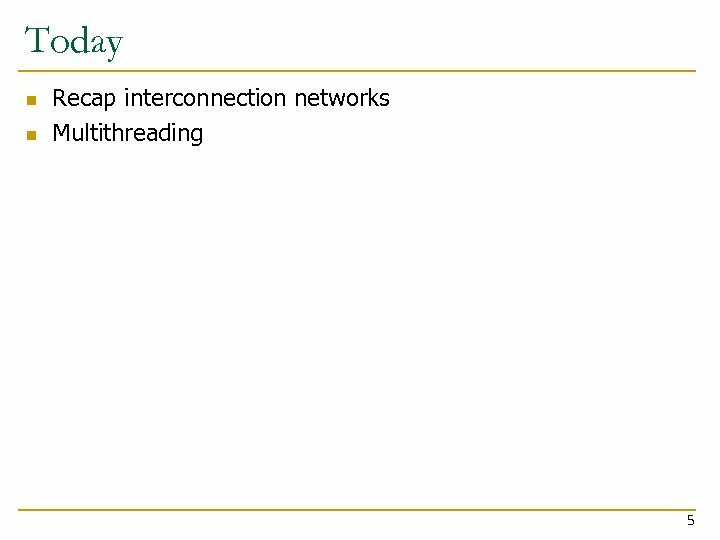 Current No. 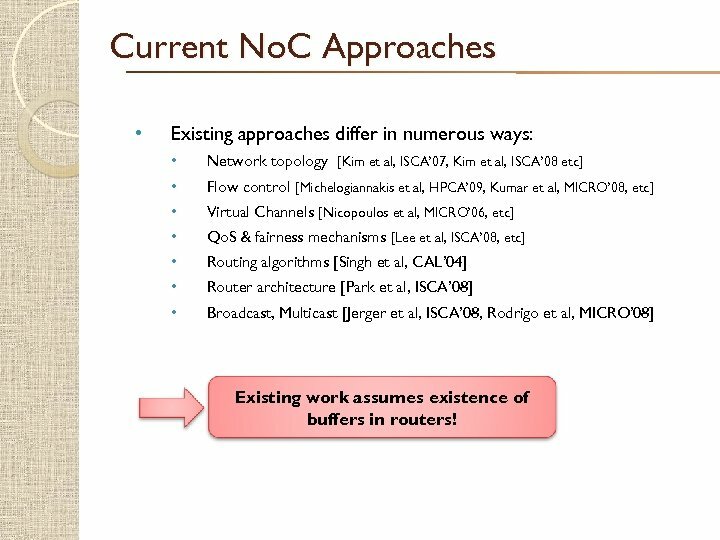 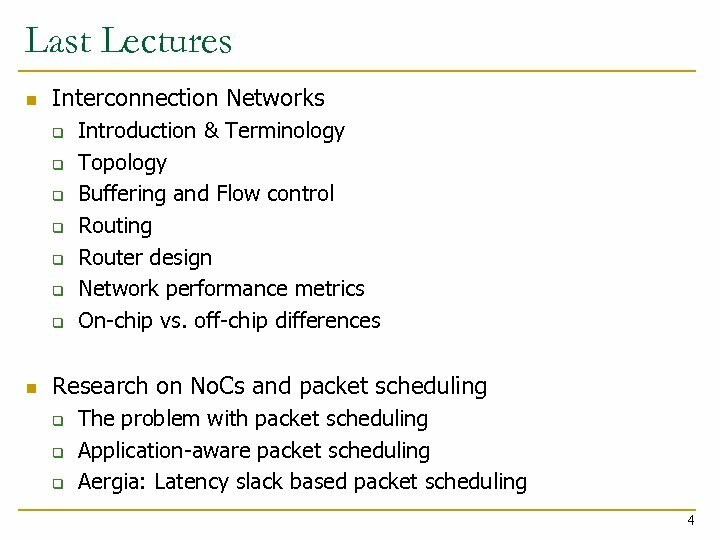 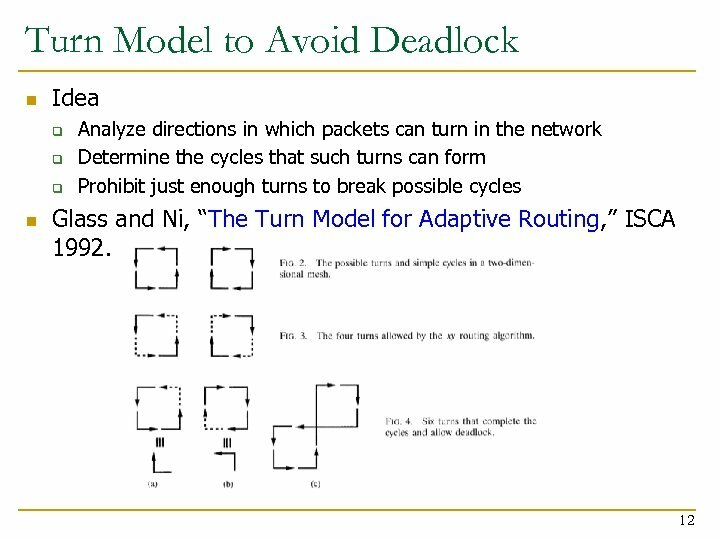 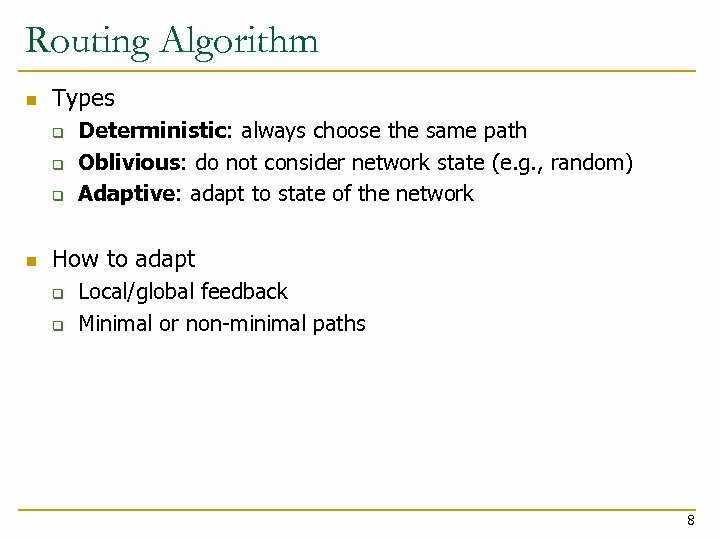 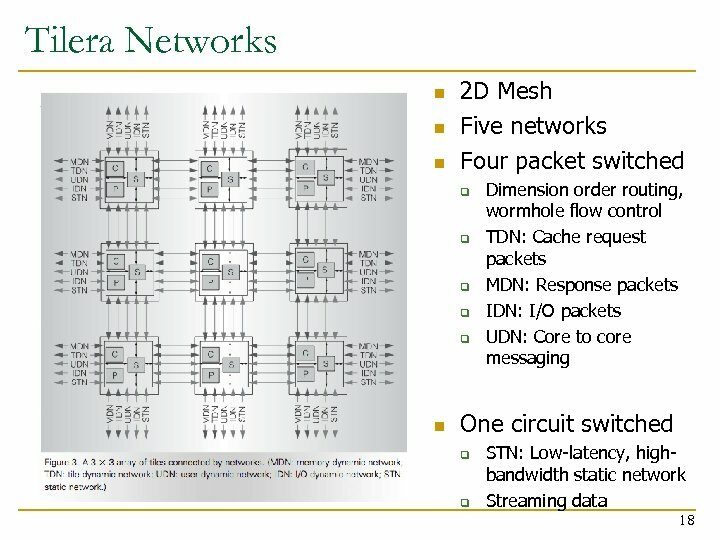 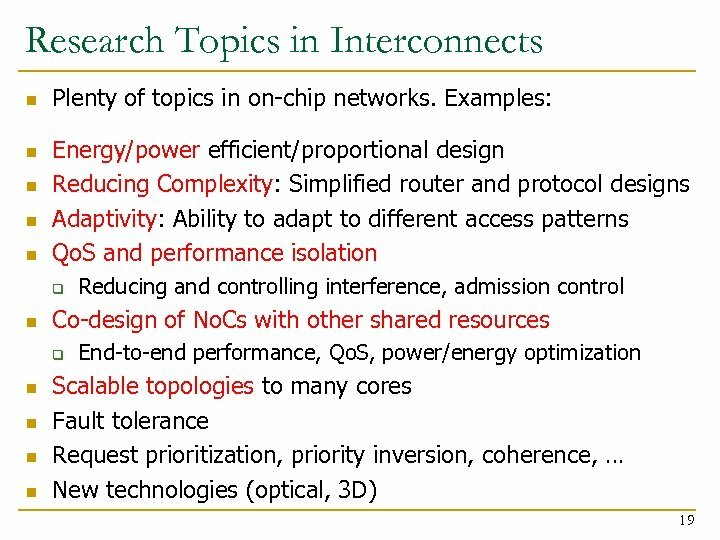 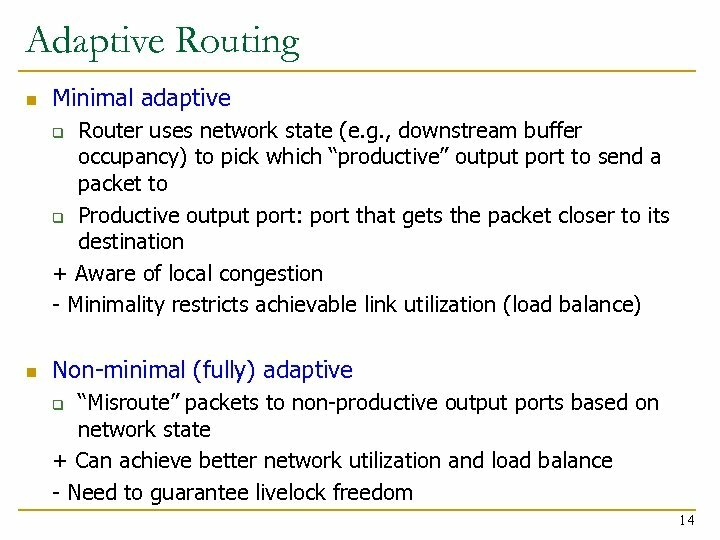 C Approaches • Existing approaches differ in numerous ways: • Network topology [Kim et al, ISCA’ 07, Kim et al, ISCA’ 08 etc] • Flow control [Michelogiannakis et al, HPCA’ 09, Kumar et al, MICRO’ 08, etc] • Virtual Channels [Nicopoulos et al, MICRO’ 06, etc] • Qo. 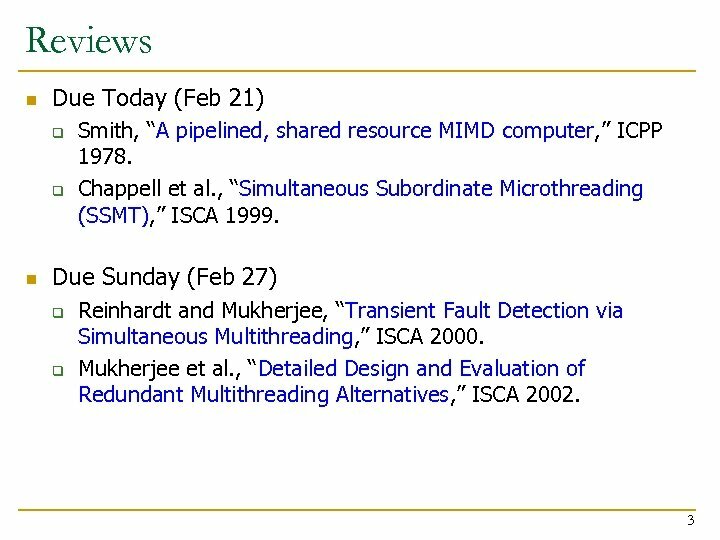 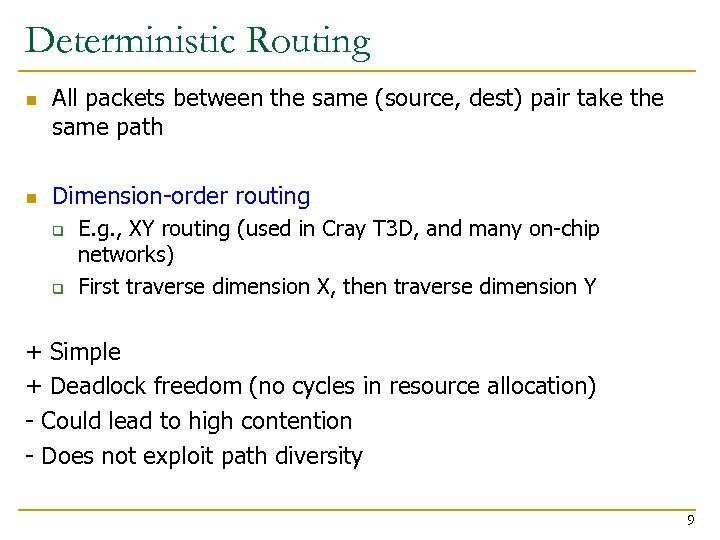 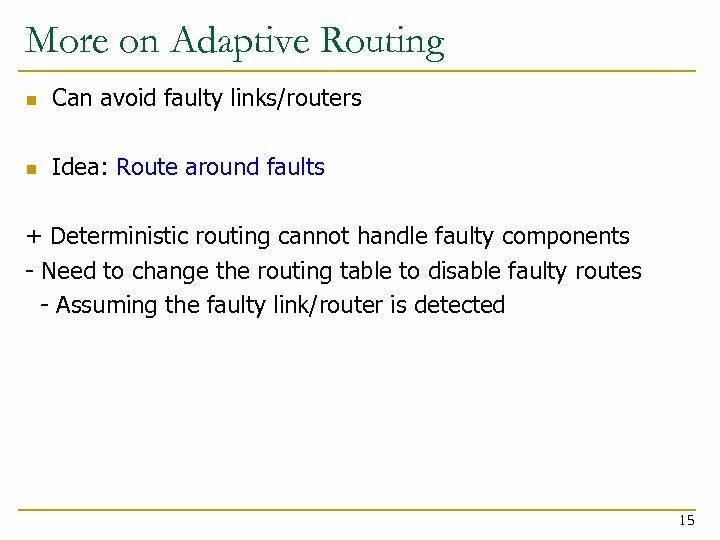 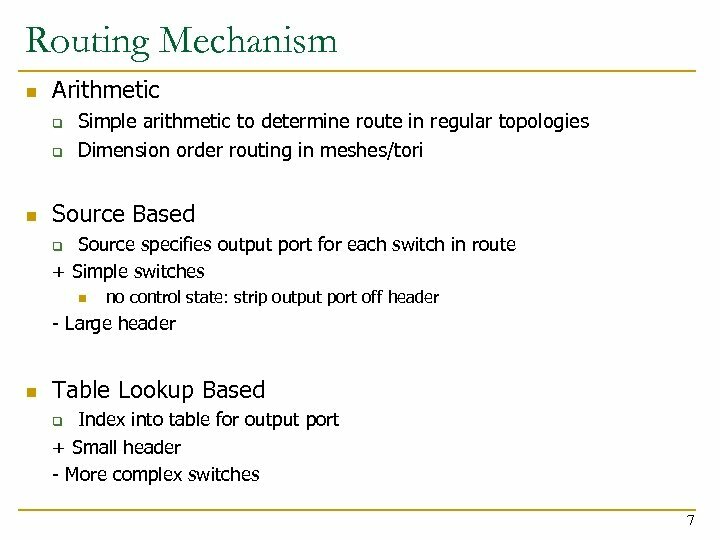 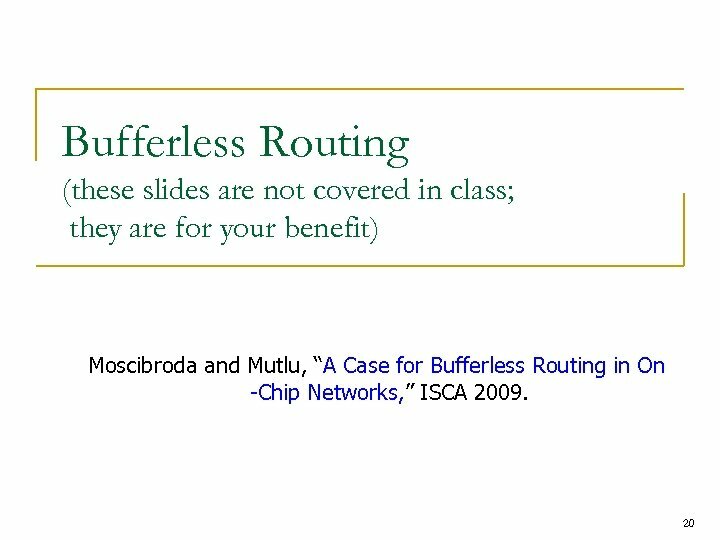 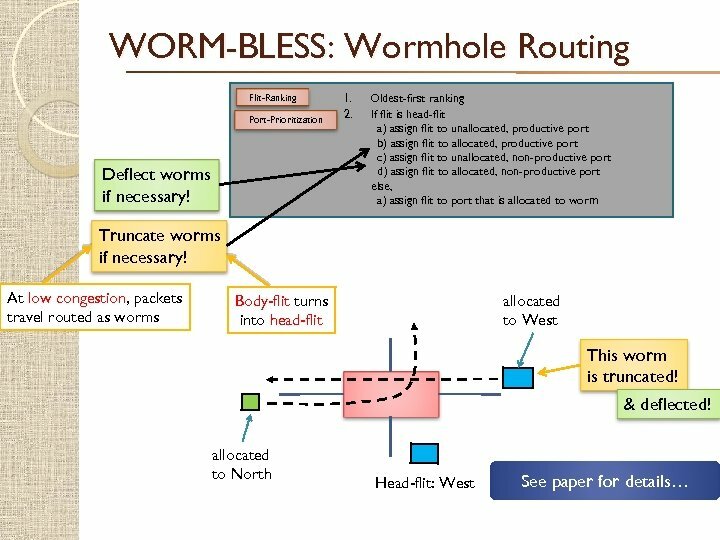 S & fairness mechanisms [Lee et al, ISCA’ 08, etc] • Routing algorithms [Singh et al, CAL’ 04] • Router architecture [Park et al, ISCA’ 08] • Broadcast, Multicast [Jerger et al, ISCA’ 08, Rodrigo et al, MICRO’ 08] $ Existing work assumes existence of buffers in routers! 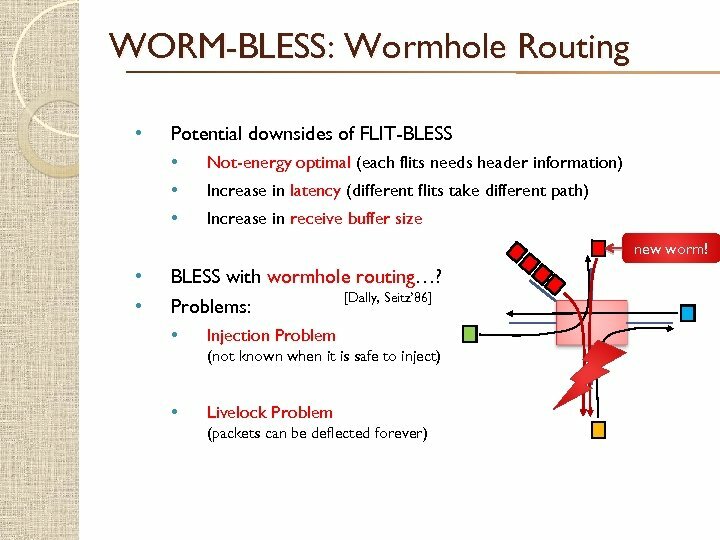 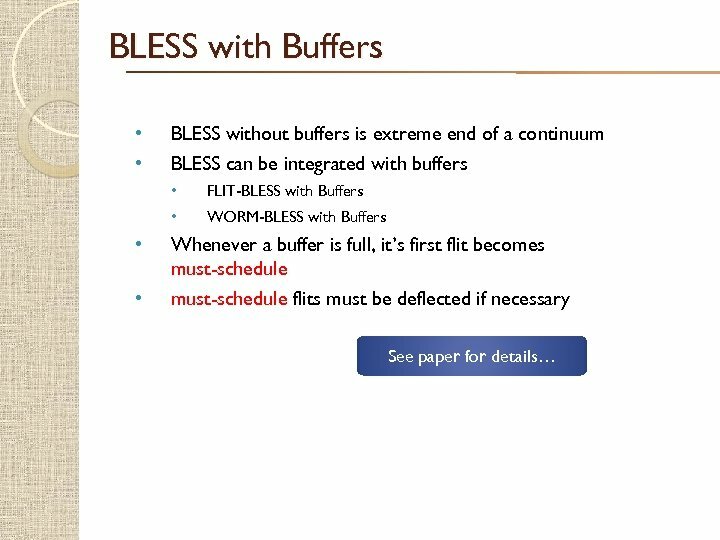 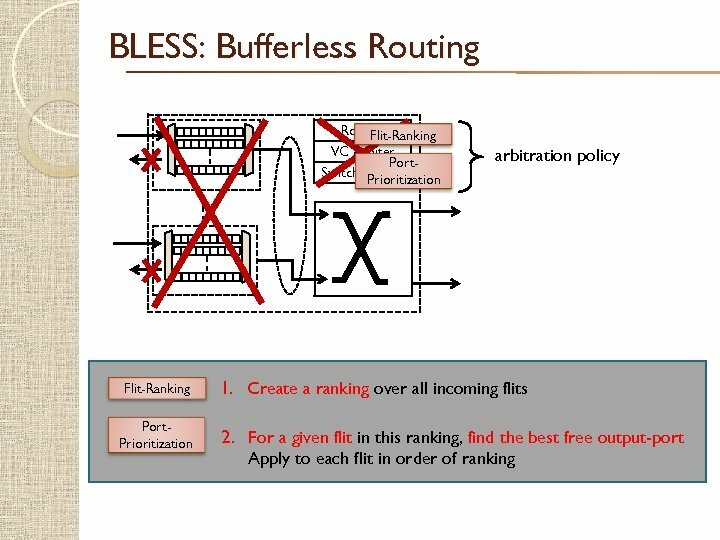 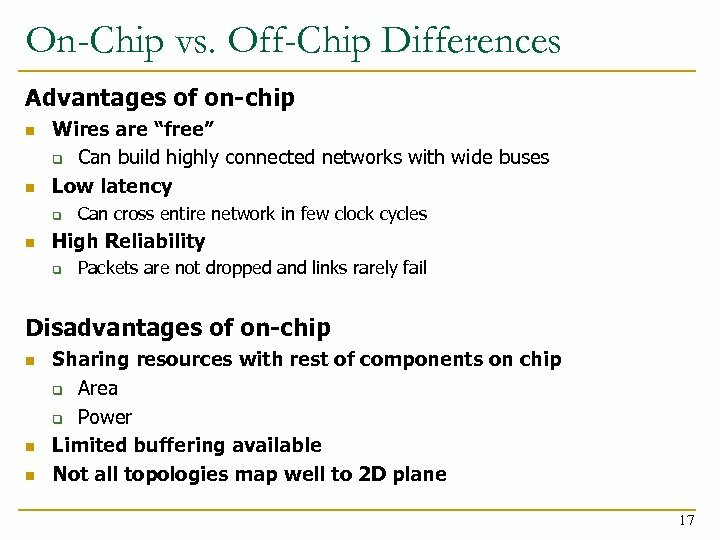 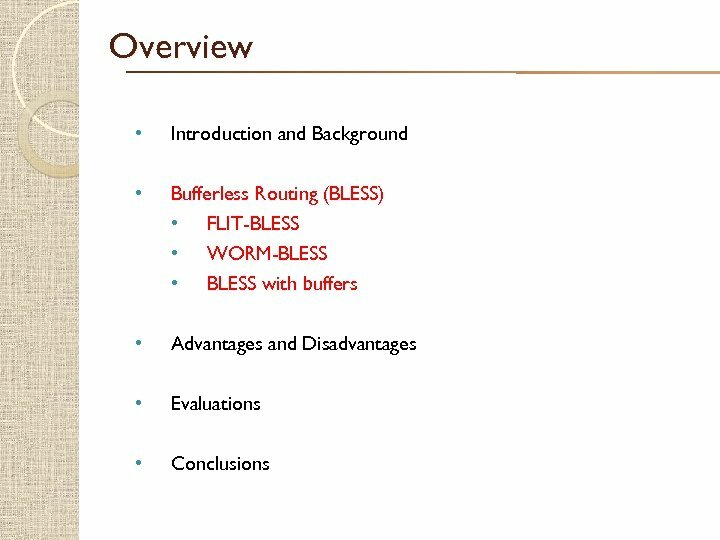 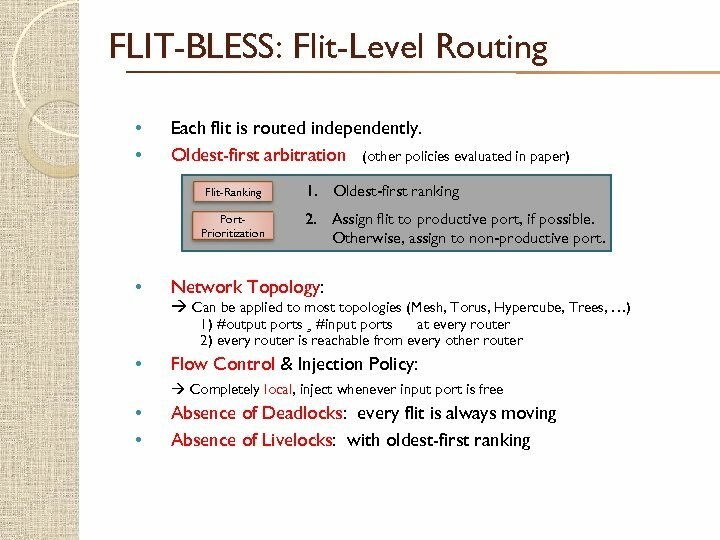 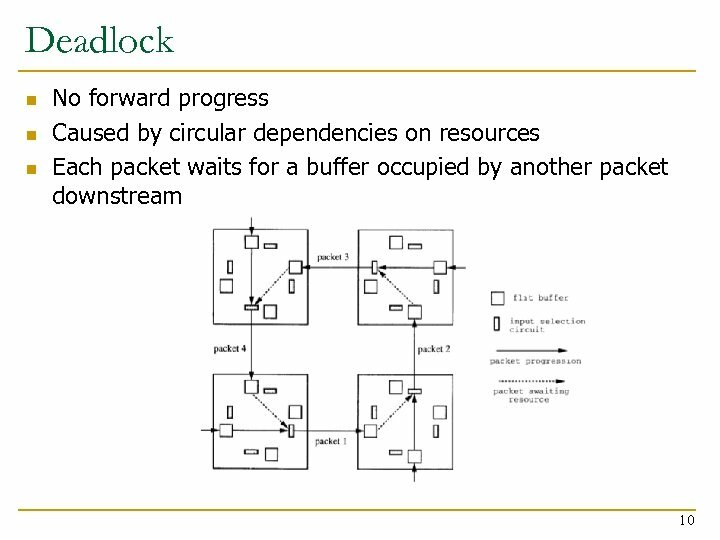 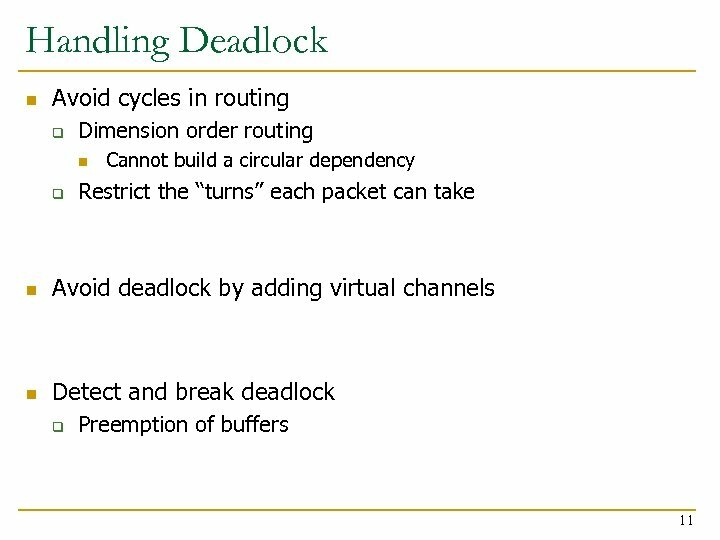 BLESS: Advantages & Disadvantages Advantages • No buffers • Purely local flow control • Simplicity - no credit-flows - no virtual channels - simplified router design • • No deadlocks, livelocks Adaptivity - packets are deflected around congested areas! 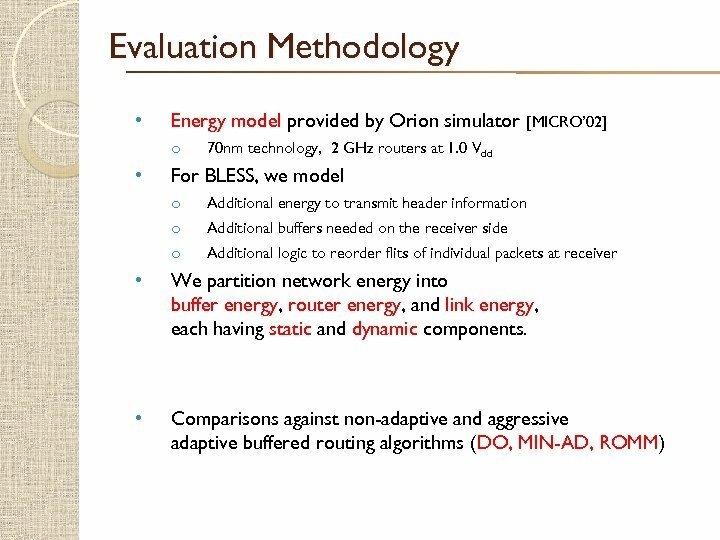 • • $ Disadvantages • Increased latency • Reduced bandwidth • Increased buffering at receiver • Header information at each flit • Oldest-first arbitration complex • Qo. 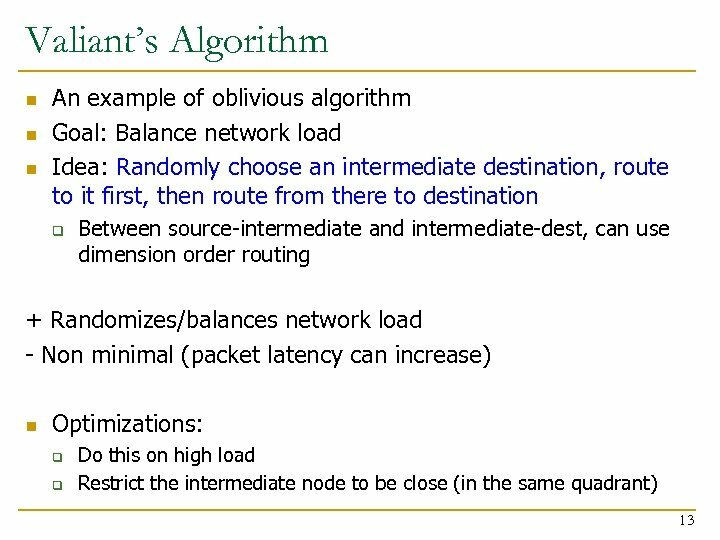 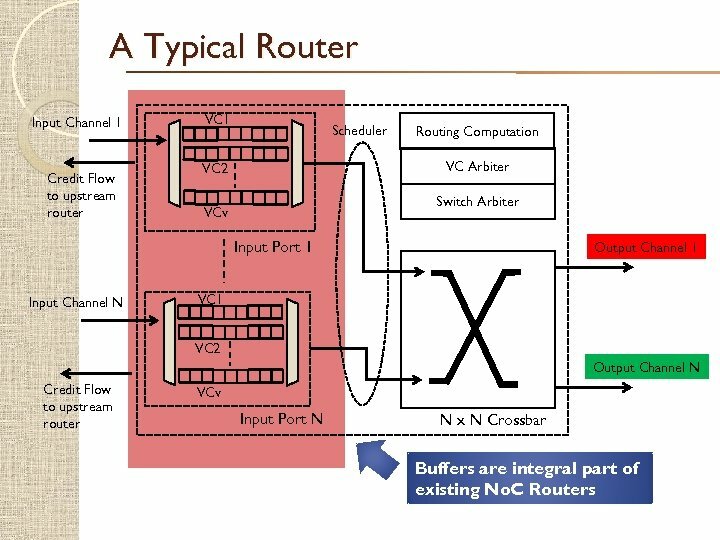 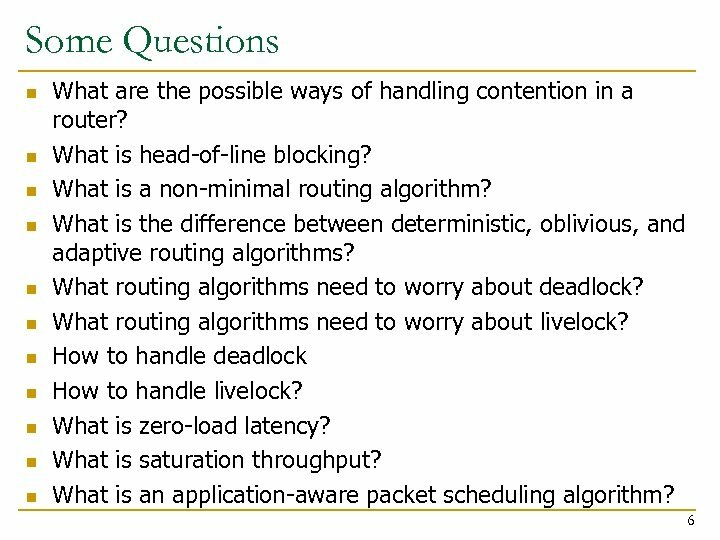 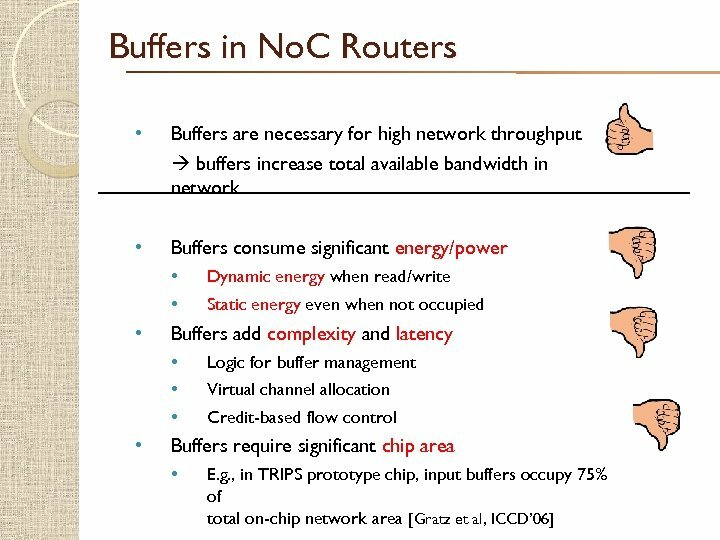 S becomes difficult Router latency reduction Area savings Impact on energy…? 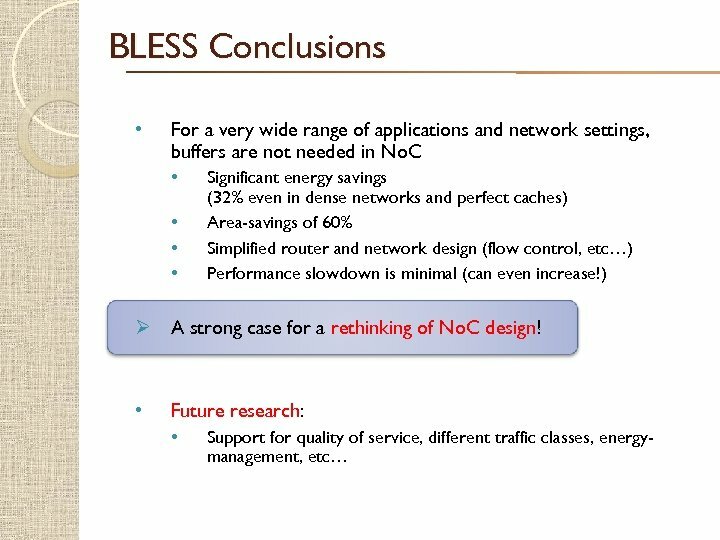 BLESS: Advantages & Disadvantages Advantages • No buffers • Purely local flow control • Simplicity - no credit-flows - no virtual channels - simplified router design • • No deadlocks, livelocks Adaptivity - packets are deflected around congested areas! 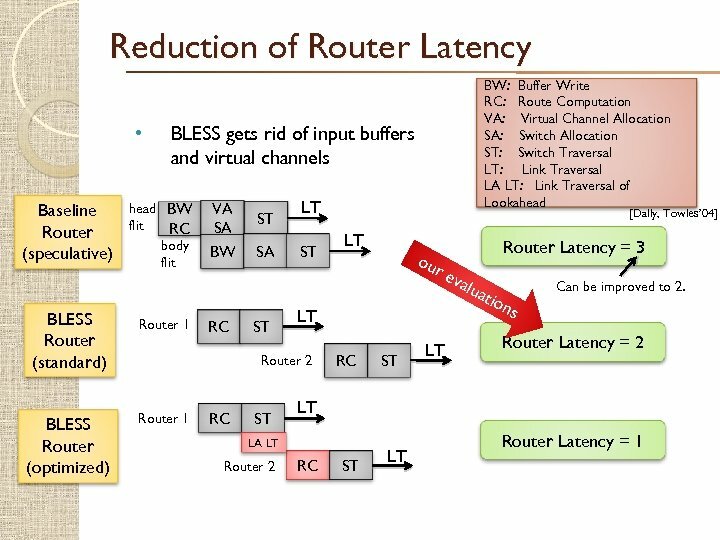 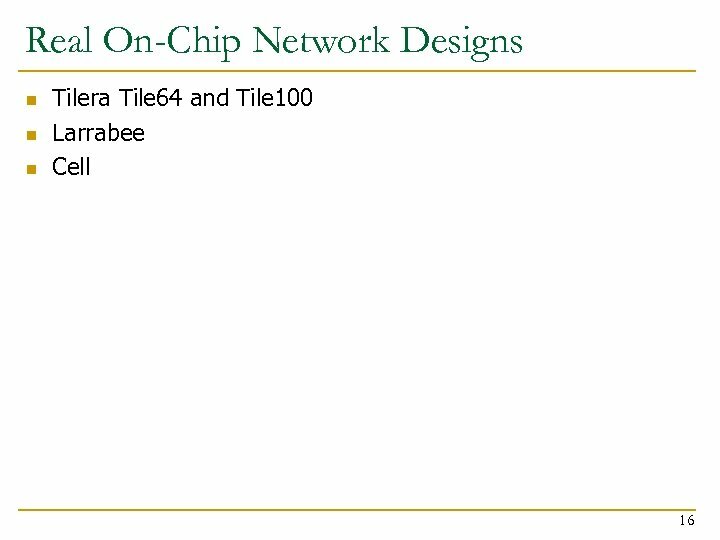 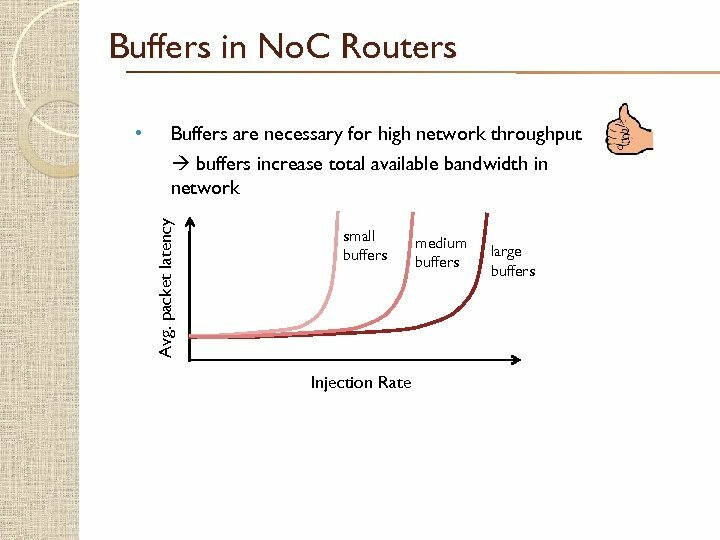 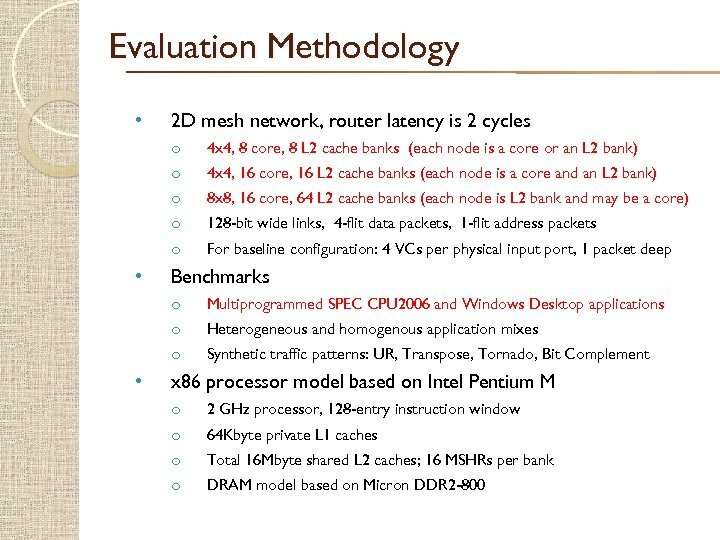 • • Router latency reduction Area savings $ Disadvantages • Increased latency • Reduced bandwidth • Increased buffering at receiver • Header information at each flit Extensive evaluations in the paper! 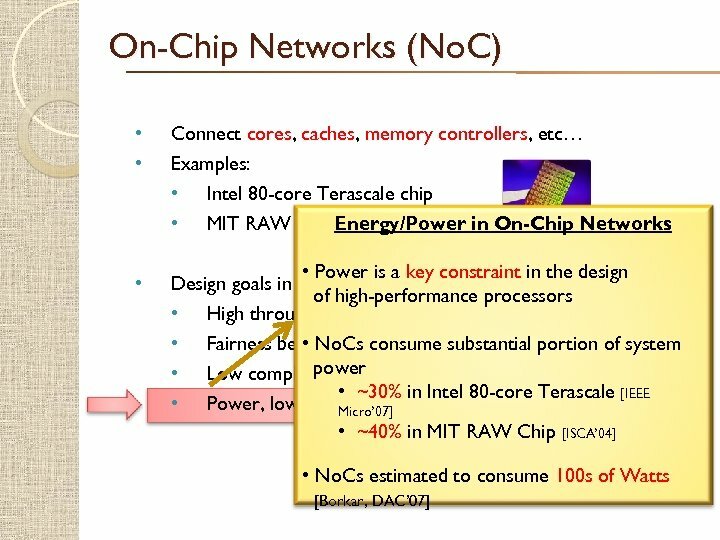 Impact on energy…? 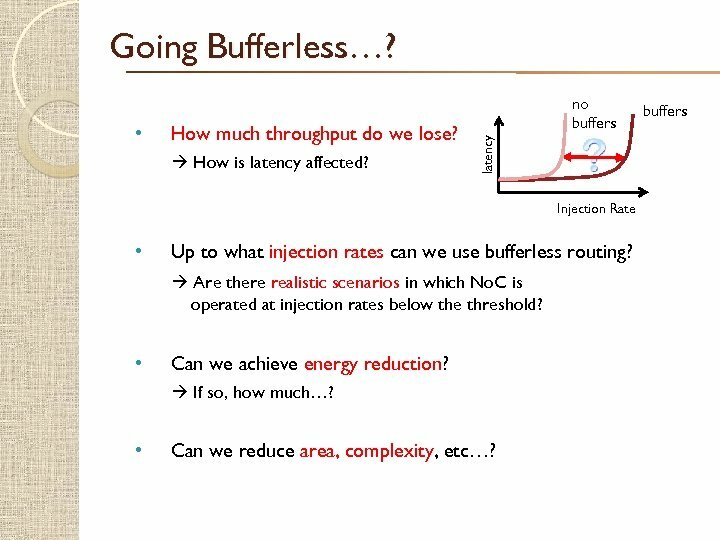 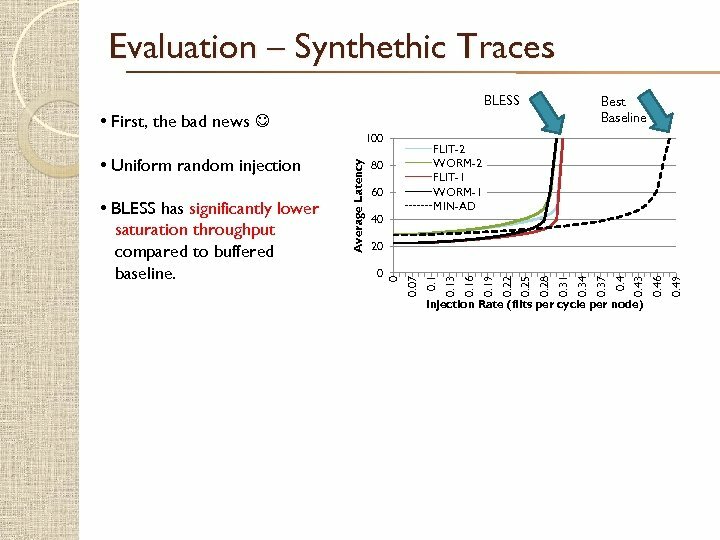 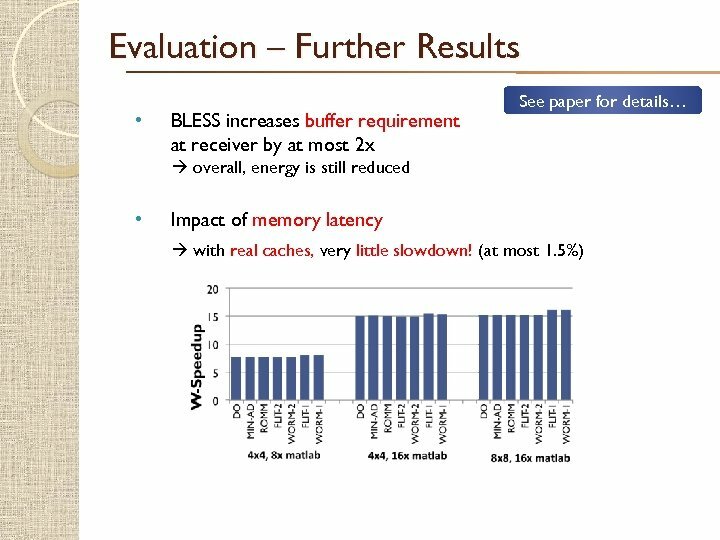 Evaluation – Further Results • BLESS increases buffer requirement at receiver by at most 2 x See paper for details… overall, energy is still reduced • Impact of memory latency with real caches, very little slowdown! 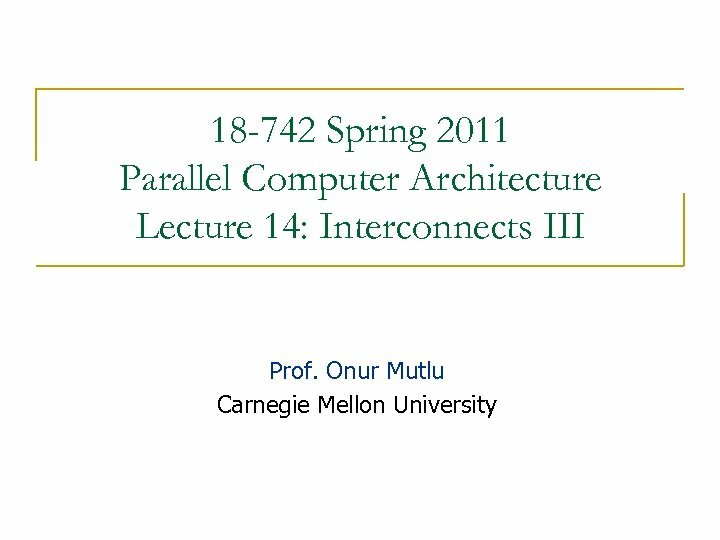 (at most 1. 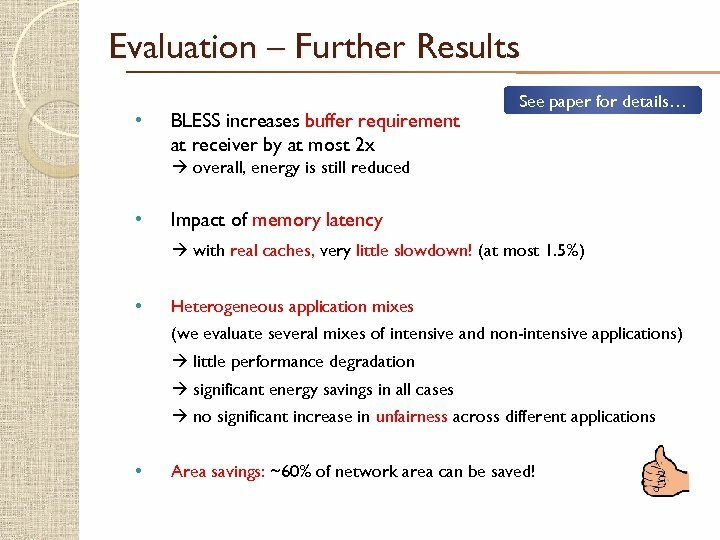 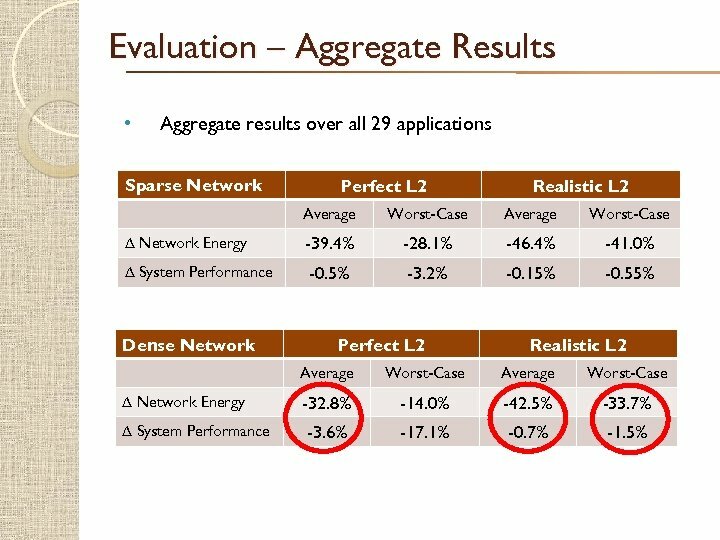 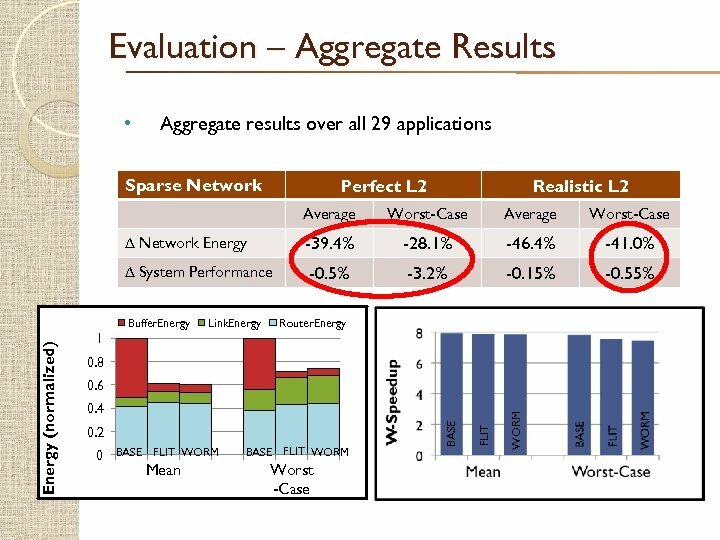 5%) $ • Heterogeneous application mixes (we evaluate several mixes of intensive and non-intensive applications) little performance degradation significant energy savings in all cases no significant increase in unfairness across different applications • Area savings: ~60% of network area can be saved!